It�s here � the long-awaited rulebook covering the Italian Wars, Tudor Wars, Thirty Years War, English Civil Wars, and The War of the Grand Alliance this 208 page hardback book is chock full of exquisitely painted miniatures, army lists and battle report. As you can see from the fabulous cover, the book covers more than just English Civil War and Thirty Years War. A labour of love, written by Steve Morgan, the book also covers the Italian Wars, Tudor Wars in the British Isles and War of the Grand Alliance. 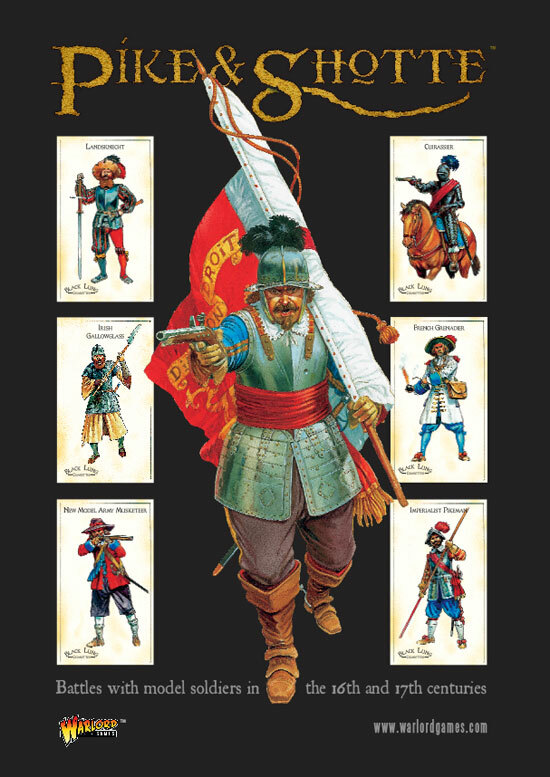 The format of the inner pages will be a familiar one to those who already own our Hail Caesar and Black Powder rulebooks � loads of eye candy to back up the rules! With 208 pages in the book you�ll be ket busy for some time digesting the rules or drooling over the photographs or beautifully painted miniatures.